Atlanta WLS Diva Extraordinaire: I'm Doing My Own Thing! 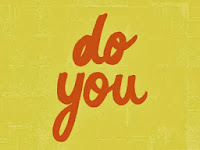 One of the most popular sayings on the web is, "Do You!" I have to say that I cannot agree more with that sentiment. Since I began my journey in 2010, it was always about my getting better for me and my family, and not about what anyone else thought. I will go down in the books today to reiterate my firm belief that you must do what is best for you and your program, system, body, family, etc. "Do you!" I say this because there are many people who criticize what we put in our mouths, especially if we have had weight loss surgery, or are even on a diet for that matter. I have even seen some people in our support groups go as far as to question what another member is doing on their journey! WTH??? "Do you!" You don't owe any explanation to anyone if you want to have an extra teaspoon of corn, or broccoli, or even a sliver of pie! "Do you!" If you know that you can handle what you are eating, that you have been responsible, that you can handle the carbs, that you can spare the calories, or even if you can't, won't, or don't -- just "Do You!" No one can tell you how to behave on your journey. The key word in that sentence is "Your"! It's your journey to wellness and your life that you are leading. No one else matters in that equation except you! Don't let what other people say get you down and depressed and questioning what you are doing on your weight loss journey. Just celebrate the fact that you have made your choice, you are on YOUR path, and you are taking care of you! "Do You!!!!"